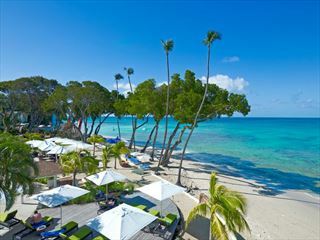 Situated on the finest stretch of Barbados’ Platinum West Coast, the beachfront Colony Club hotel in the Caribbean is a timeless retreat restored from a former private Colonial Club. Its sophisticated ambiance extends to all 96 tastefully appointed guestrooms and suites. From savory dining and sun-swept beaches, to relaxing poolside activities and casual elegance, each guest finds a personal retreat and memorable moment to call their own. The resort creates countless opportunities to enjoy its environs, from themed beach dinners to paddle boarding clinics (a favourite Barbadian pastime) and more. 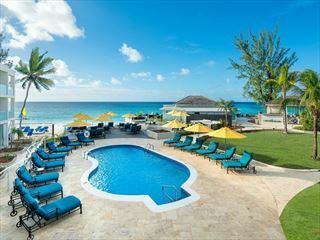 Further reading: Colony Club by Elegant Hotels is featured in our guide to the top 10 family hotels in Barbados and top 10 luxury hotels in Barbados. 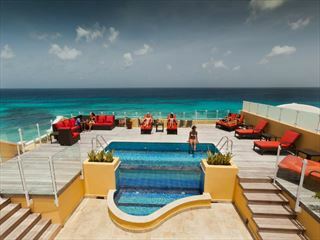 This elegant and refined resort is located on Barbados' exclusive and luxurious Platinum Coast. Surrounded by unspoilt beauty, sugar sand beaches and championship golf courses, the location is just as sophisticated as the resort itself. Decorated with sophisticated, colonial-style furnishings and fine mahogany touches, these peaceful rooms are set within the lush tropical gardens with gorgeous views of the emerald flora. Accommodates up to two adults. Upgraded with plush, elegant décor and comfortable furnishings, experience stunning ocean scenery in an atmosphere blending refined style and tropical luxury. Accommodates up to two adults. Slip in to an inviting lagoon-style pool just steps from your private balcony in these rooms, featuring contemporary décor, marble touches and heightened ceilings. Accommodates up to two adults. Ideally situated just a stone’s throw away from the ocean’s edge, these luxury rooms offer a refined tropical refuge amidst sheer island splendour. The perfect choice for couples, you’ll be treated to luxury toiletries, upgraded facilities and sumptuous décor. Accommodates up to two adults. With the dreamy lazy river just steps away from your private terrace, these secluded hideaways are ideal for a honeymoon, appointed with stunning décor, a heightened level of living space and luxuriant amenities. Accommodates up to two adults. Colony Club’s signature open-air dining venue, Laguna serves an international selection of delectable fare all throughout the day for breakfast, lunch and dinner. The complimentary full breakfast offers an appetizing variety of healthy choices such as fresh fruit, cereals, yoghurts and pastries, as well as an omelette station. Lunch and dinner features prime cuts of beef, freshly-caught local seafood and produce seasoned with a variety of island and global spices. There’s also a great bar in the centre of the restaurant overlooking the beach, serving teas, juices and cocktails all through the day. Dine all day with unforgettable views of the sparkling ocean from a fabulous oceanfront location, perfect for lunches, dinners and cocktails with amazing tropical scenery. The restaurant features a wide variety of fresh salads, great sandwiches, fresh fish and more, with themed nights including Lobster & Jazz and Sunday Brunch. Situated on the pool deck with a wonderful swim-up bar, savour breath-taking ocean views and sensational sunsets from a plush lounger, or take a swim to a submerged barstool and enjoy a sundowner or your favourite cocktail.